Not long ago we learned from a Bangladesh Sangbad Sangstha (BSS) report that Henry Kissinger "initially could not recall his remarks saying 'Bangladesh is a bottomless basket.'" 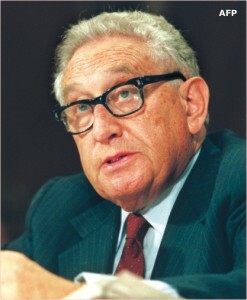 BSS approached Kissinger for his comments on his "reported" remarks while he was attending the World Economic Forum Conference at Davos, Switzerland. The BSS report further added: "He actually made the comment as he visited Dhaka on a short trip in 1974 after it emerged as an independent nation after nine months of Liberation War in 1971 despite his opposition as the foreign minister of the world's most powerful country." When he was reminded of "his harsh remarks he made 33 years ago," the report informed us that he declined to comment anew and that he responded by saying : "That was a moment in 1974." But what is the reality behind Kissinger, Bangladesh, and the so-called "bottomless basket"? Have we truly addressed the contentious issue with the right perspective? This write-up primarily addresses matters related to the 37-year-old confusion that has maligned the image of Bangladesh for that many years. It is written with a hope that it will eventually change our perception on the much reported Henry Kissinger's association with the "bottomless basket" case and put history in its right perspective. The first time independent Bangladesh was predicted to be an "international basket case" was on December 6, 1971, when the interdepartmental Washington Special Actions Group (WSAG) met to discuss the situation in South Asia. Dr. Kissinger: (to Mr. Williams) Will there be a massive famine in East Pakistan? Mr. Williams: They have a huge crop just coming in. Dr. Kissinger: How about next spring? Mr. Williams: Yes, there will be famine by next spring unless they can pull themselves together by the end of March. Dr. Kissinger: And we will be asked to bail out the Bangla Desh from famine next spring? Dr. Kissinger: Then we had better start thinking about what our policy will be. Mr. Williams: By March the Bangla Desh will need all kinds of help. Mr. Johnson: They'll be an international basket case. Dr. Kissinger: But not necessarily our basket case. That was it. Maurice J. Williams, who was answering Kissinger, was then the deputy administrator of the US Agency for International Development (USAID) and also chairman of the Interdepartmental Working Group on East Pakistan Disaster Relief. Ural Alexis Johnson, a career foreign service officer and under-secretary of state for political affairs at that time, interjected in between Henry Kissinger and Maurice Williams with his infamous "international basket case" comment. Therefore, it was Ural Alexis Johnson, and not Henry Kissinger, who for the first time in recorded history considered Bangladesh to be an "international basket case." We need again to note here that the above WSAG meeting was held during the fag end of the Pakistani occupation of Bangladesh. This sets the historical perspective of the comment. 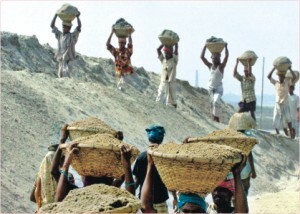 The government of Bangladesh hadn't received any assistance from US till that day, and, therefore, the prevalent perception or connotation that Henry Kissinger might have had made the "bottomless basket" comment after having observed endless assistance being poured into Bangladesh through the early years of her existence is absolutely incorrect. Rather, it was a rash prediction from a low-level US government official. In any event, the discussion and minutes of the meeting were classified as Top Secret and Sensitive and were not for public consumption at least for the next 25 years. But it was during the first week of 1972 when Jack Anderson wrote columns in The Washington Post (Secret Minutes Dispute Kissinger, Jan 3, 1972; Kissinger: I Am Getting Hell...From the President, Jan 5, 1972; Nixon's One Man State Department, Jan 7, 1972) based on leaked records of WSAG's December meetings that the world came to know about the US administration's "tilt" towards Pakistan in 1971 as well as its cruel portrayal of the future of an independent Bangladesh at the time when Pakistan itself could have been the best candidate for such characterisation. "In description of BD as 'international economic basket case,' while striking as rhetoric, is not entirely accurate, as pointed out in last para of Dacca 0092 [an unpublished telegram]; BD will certainly require a great deal of assistance immediately and considerable assistance over medium term if it is to realize its potential for economic viability. Immediate future needs center on food-grains, foreign exchange, and humanitarian assistance in resettling vast numbers of refugees apparently now beginning to return in quantity from India. In slightly longer perspective, assistance will be required in planning, establishing economic priorities, and financing infrastructure projects. While India and Soviet bloc may make great public play of their willingness to help, amounts to be expected from them realistically are small; help of types and quantities required can only come from non-communist aid givers, acting either bilaterally or through international organisations. In either case, effective assistance for reconstruction and development purposes, (as distinguished from purely humanitarian relief of suffering) will depend on recognition of BD by potential aid donors, whether individual countries, consortia, or international aid agencies. Thus, if BD is to achieve economic base for stable existence, it must receive early recognition from potential aid sources other than Indian and the Soviet bloc." Spivack's arguments were self-explanatory (though Dhaka telegram 0092 in 1972 could have been a better one for this reference). For a child to become an adult it requires all kinds of help from adults, but when the child becomes adult, he or she will be fine and will stand to live on his or her own strength. "The reported prediction of an American diplomat last year that an independent Bangladesh would become an 'international basket case' has been fulfilled, at least for the short run. Since the end of the Indian-Pakistani conflict that gave the Bengalis their freedom last December, the new nation has been on the receiving end of one of the most massive relief operations in history … [T]he most serious threat to Bangladesh today arises not so much from any lack of external aid as from internal corruption. Foreign food donated for the hungry children of Bangladesh has turned up in large quantities in the markets of neighbouring India, diverted there by greedy merchants and corrupt officials. Relief workers estimate that as much as two million tons of grain are being hoarded for speculation by these human hyenas. Sheikh Mujibur Rahman, the Bangladesh Prime Minister who had been out of the country for medical treatment, will have to move swiftly and drastically to curb the corruption, for no amount of foreign assistance can save the Bengalis from the consequences of their own venality." Note the paper's correct attribution of "international basket case" to an American diplomat. Note also the NYT conclusion that the prediction, though in short term, being fulfilled. Bangladesh did not get even a year to prove the American diplomat Ural Alexis Johnson wrong! Certainly the corruption by the businessmen and the government officials contributed much to the chagrin as the stigma stuck with Bangladesh for years. But to link Kissinger with such negative portrayal is far from the truth. Kissinger, as US secretary of state, visited Bangladesh in October 1974 and met Prime Minister Sheikh Mujibur Rahman. But he never remarked anything close to "bottomless basket" with regards to Bangladesh during his trip and the fact can be verified from published news reports from that time. If BSS is challenged to cite references for their reported statement that Henry Kissinger had made such remarks during his short visit to Bangladesh, the result would be interesting. But in any event, we may ask a simple question: It is plausible that a visiting dignitary and a strategist like Kissinger would be so tactless to comment about the host country as deliberately as implied by the latter day reporters and commentators? But so strong is the propaganda against Bangladesh and possibly against Mujib regime is that we tend to disregard the very basics! Linking Kissinger to the "international basket case" depiction of Bangladesh had made Bangladesh's image more vulnerable to the international community. The link actually took a nastier turn after the assassination of Sheikh Mujibur Rahman in 1975 as it was advanced as one of the reasons against the Mujib regime. Had the expression rightly been credited to Ural Alexis Johnson, Bangladesh could have saved herself from the embarrassment a long time back as that would have attracted much reduced attention in world media and the case against the Mujib regime would, perhaps, have been a lighter one. But it was the desire of some who did not support the case of an independent Bangladesh to depict otherwise. Accordingly, the propaganda against independent Bangladesh got the desired hype by the anti-Bangladeshi elements when they linked a heavyweight like Kissinger to the matter. It was this propaganda that had been carried out in the world to unmake Bangladesh -- to prove that breaking up with Pakistan wasn't a viable alternative in the first place. And unfortunately, knowingly or unknowingly, we are participating and/or contributing to that propaganda today. Why do we continue with the legacy of erroneous information and flawed interpretation and be a part of the anti-Bangladesh propaganda? Now, more than ever, is the time to de-link Kissinger from the "international basket case" as its real history intimates, and correct ourselves and leave our young generation free from false context and wrong historical perspective. Kissinger failed to recollect his alleged slur simply because there is nothing to recollect! Let us recognise Ural Alexis Johnson as the person who predicted that Bangladesh would become an "international basket case" and work in unison to prove his prediction wrong and get Bangladesh out of the ignominious stigma. Never heard of Ural Alexis Johnson? My point precisely. Mohammad Rezaul Bari is a freelance contributor to Forum.